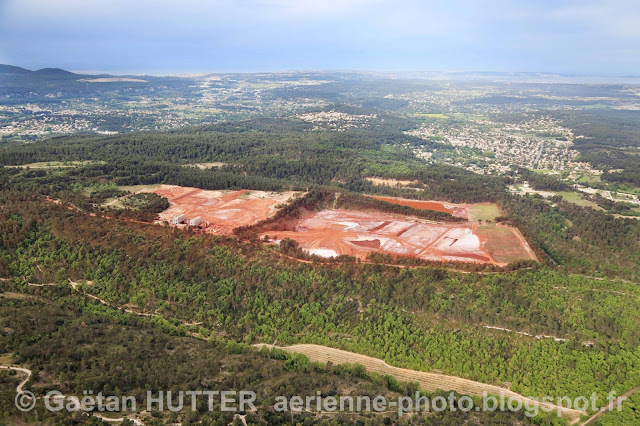 Red - Alteo's toxic solid waste strorage and burial area in a forest area near Gardanne and detail of the land fill with the red coloured bauxite waste know as "boue rouge" (red mud) in French. 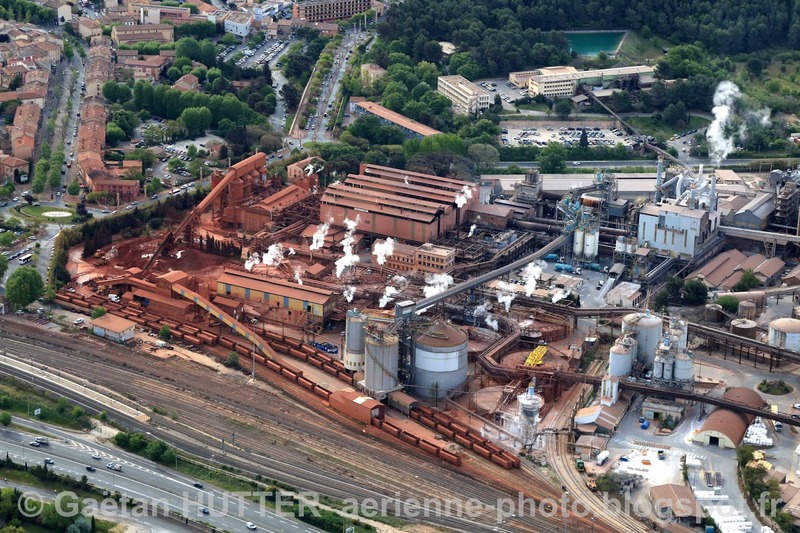 Alteo in Gardanne - The Alteo alumine factory in the center of Gardanne. 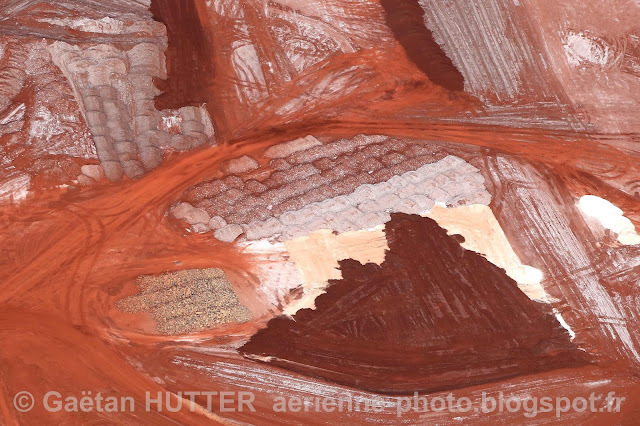 General view with the bauxite processing plant in the centre that receives bauxite by train from Marseille where it arrives by cargo ship from Africa. To the left is the town of Gardanne, the road in the lower left is the freeway that goes from Gardanne and surounding towns to Marseille.